Looking for a waterfront place to stay or get-a-way??? 50ft Stephens Yacht. A perfect live a board. A lot cheaper than a condo. Pay moorage instead of strata fees. Untie and take your yacht out for a weekend, a month or cruise to Alaska. 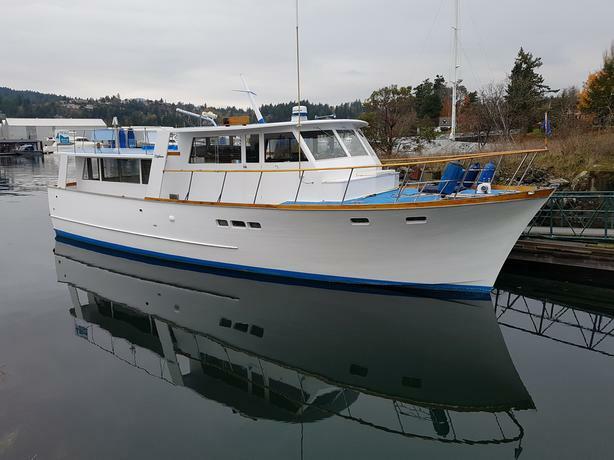 The yacht is currently located in Sidney. Offered for serious buyers and cash only. Financing is not an option. Call Doug for a private showing.